Well, here she is, our lady Summer has finally arrived after a very comfortable and rain-filled month of June. Just because the mosquitoes are starting to come out and you are starting to stick to you chair it doesn't mean you have to give up on enjoying your beautiful yard. Here are a few tips for helping you enjoy this hazy, seemingly never-ending summertime wave by creating what we would like to call an "outdoor living room". 1. Let there be light. Want to know how to make a big impact in your outdoor living space? Add lighting-- both landscape path lights and overhead pendants and string lights. This is a sure fire design recommendation to make your backyard the best hangout on the block. Ask us about our favorite lights! 2. Clean lines. What a difference a clean yard makes. Take out all those pesky weeds that are growing around your patio and/or up through the mulch and gravel areas in your yard-- This will highlight all the plants and pathways that you already have. Since weeding is no one's favorite task in the summer swelter let us help you with that one. 3. Get mulch happy. Your plants will be. Mulch all bare soil areas and re-fill around existing areas. We use three inches of mulch wherever possible to get the benefits of weed suppression and moisture retention. In areas where you have stubborn weeds we can help you pull them out and put out a natural weed killer. 4. Drainage issues? Arroyos to the rescue. Having water drainage issues on your property can lead to serious home foundation damage, mold, and outbreaks in mosquitoes. Arroyos are our favorite design solution for these drainage issues. 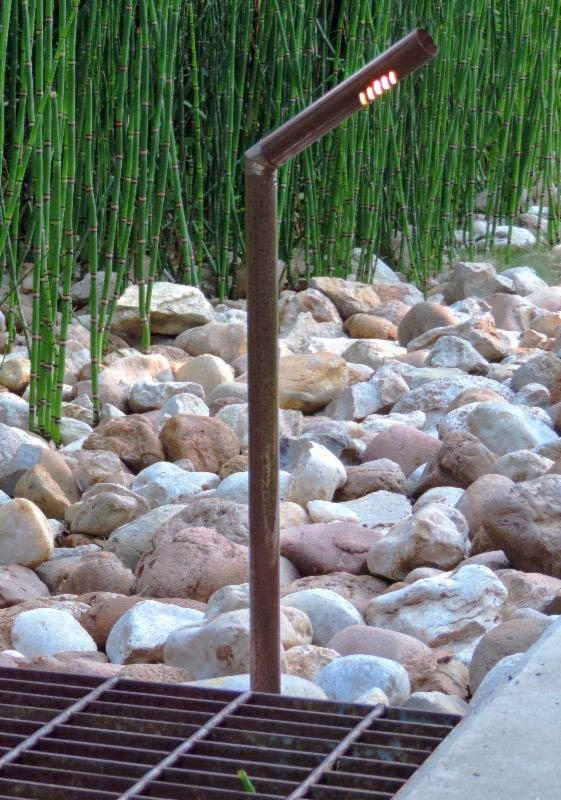 They are not only beautiful but also extremely functional in directing water away from your home and allowing it to absorb into your garden beds where you need it most. Arroyos are a beautiful feature for any outdoor space-- we generally create ours with large river rocks and lush, big leafy plants that add a whole new level of texture and interest to any front yard or back yard outdoor living space. 5. Cool off with water elements. 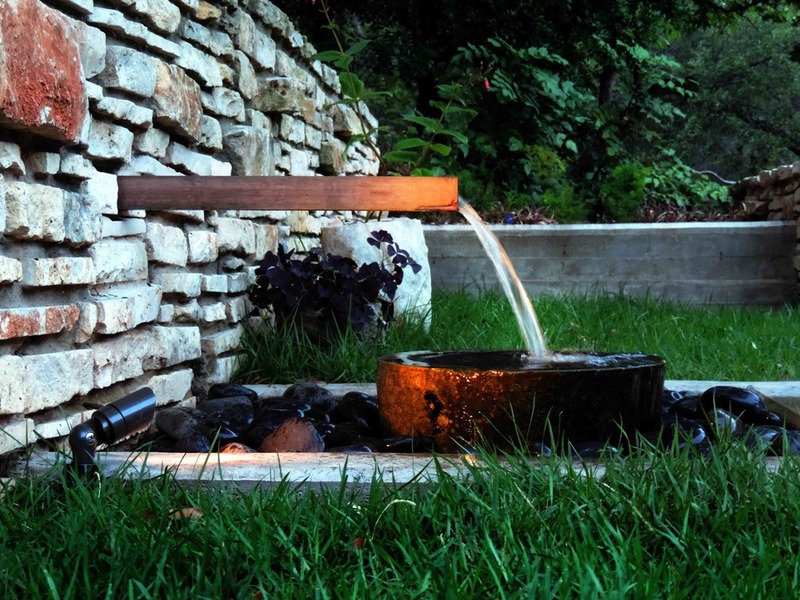 Just the sound alone from a water feature can leave you feeling a few degrees cooler. 6. Never too old to play games. Set up a custom game court of your choice for maximum fun-in-the-sun time.